'Our job is to make you dance.' So promises the new edition of the Black is Back Weekend, two days dedicated rhythm and soul. Outdoor concerts, freshly cooked food and cold beer are the order of the weekend for this festival where you can meet up with friends, sway with your sweetie, or even head out with the whole family, as kids are welcome too. 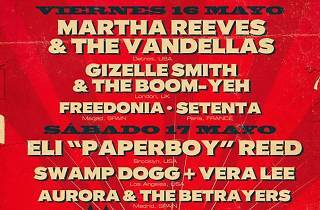 Friday is a lesson in the history of pure R&B and soul with Motown greats Martha Reeves & the Vandellas, who had hits in the 1960s with 'Dancing in the Streets' and 'Heat Wave', among others. 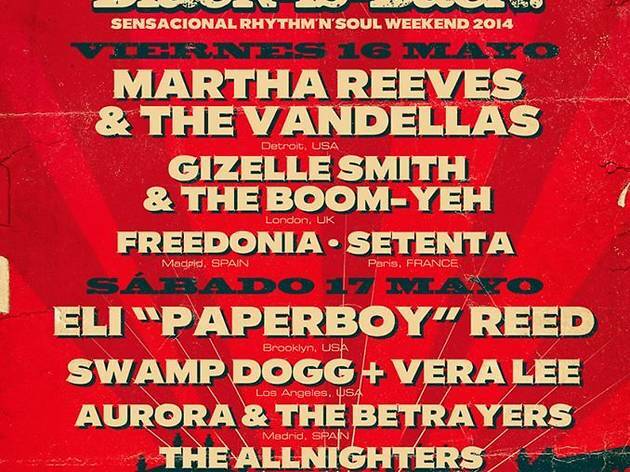 On the same bill are Gizelle Smith & The Boom-Yeh, Freedonia, and The Allnighters representing Spain. Saturday's headliner is Eli 'Paperboy' Reed, the renowned soul singer and guitarist from Boston. Also taking the stage are Swamp Dogg + Vera Lee, Aurora & the Betrayers, and Setenta. It's a great way to top off the festivities of San Isidro, on this week in Madrid, and a major event in the Madrid festival season.